Recently, a Stuyvesant Town resident, who often has a friend from out of town stay with him, learned that guest key-card status for the woman would be rejected — that is, unless she agreed to register with the owner as an occupant. However, the resident, who didn’t want his name published, told Town & Village she doesn’t live in the apartment, and therefore has so far refused to register as an occupant. Along with friendship, she also fills an occasional role of caretaker for some of his health issues, he said. Management, meanwhile, said the tenant, hasn’t budged and has refused to issue a guest card. A spokesperson for CWCapital did not respond to a comment on this issue, but Council Member Dan Garodnick told Town & Village that he has heard from “a handful” of residents who said CW has become more selective about issuing guest cards lately. Garodnick said this practice seems to run contrary to the key-card policy. He believes management’s reason for the recent denials has to do with weeding out illegal, short-term rental activity. The City Council member representing Greenwich Village, Corey Johnson, has called on the mayor to reform the Rent Guidelines Board and eliminate the price index from the calculations used to determine the annual rent adjustments for stabilized tenants. Elected officials and tenant advocates joined Johnson at City Hall last Thursday to support his legislation on the matter because they say that the Price Index of Operating Costs (PIOC) does not accurately reflect the costs and revenues accrued by landlords, causing unfair increases for tenants. The price index doesn’t measure what owners actually spend running buildings but instead estimates their costs based on changes in prices for goods and services, like utilities, without taking changes into account, like the weather. The price index also doesn’t measure any of the income received on the properties. Mike McKee of TenantsPAC said that the price index study is “an enormous amount of work” and that there is nothing in the law that requires the board to use the data from the study in their decision. Your story of January 8, 2014, entitled “New business aims to find sublets for students in Stuyvesant Town,” may lead to a misimpression, namely, that making arrangements for a sublet through Lucas Chu may be the complete, legal process. Tenants should be aware that ST/PCV sublets are governed by rent stabilization regulations. DHCR Fact Sheet #7 lays out the obligations of the prime tenant which include, among other things, informing the owner of an intent to sublet 30 days in advance by certified, return receipt letter and spelling out the terms of the sublease. Unsuspecting tenants may not realize their obligations or even that they may be in violation of rent regulation laws and unknowingly circumventing these requirements. The result could be eviction should the landlord choose to pursue it. Ultimately, the approval of a sublet rests with landlord. As CWCapital’s spokesperson pointed out, Mr. Chu is marketing a legal service. This “legal service” is essentially a matchmaking service, but will CWCapital/Compass Rock vet the subletters? Is CW/CR now relaxing subletting requirements? It used to be – and may still be – very difficult, if not impossible, for long-term tenants to get approval for a sublet. Are students in a privileged position? Frequent short-term subletting increases the transient nature and instability of our community. It depletes our quality of life. It undermines our security. Characterizing Mr. Chu and the landlord’s apparent comfort with his services as outrageous is understating the case. It turns out tenants in Stuyvesant Town/Peter Cooper Village aren’t the only ones attempting to fight MCIs. At Riverton, an apartment complex in Harlem, the Tenants Association has sued CWCapital, which took over the property after it went into foreclosure, over what tenants claims are inflated major capital improvement (MCI) charges. The MCIs were for work on roofs and elevators at the property as well as the redesigning of a park when Riverton was owned by Stellar Management. The MCIs vary in cost per apartment, and according to Riverton Tenants Association President Randreta Ward-Evans, it’s mostly seniors who seem to be overpaying. “I have a senior who’s 97 years old who’s paying $200 more than she should be paying.” she said. She added that tenants learned from attorneys, during a legal clinic held in March by Assemblyman Keith Wright, that many of them were overpaying. “We knew we had a problem. We just didn’t know how massive it was,” she said. CWCapital subsidiary CompassRock Senior Vice President David Sorise and Karl Griggs, Riverton’s property manager, are also named in the suit. While not mentioned in the lawsuit, Ward-Evans said numerous tenants have also complained of paying rent only to have their checks not be deposited. Then, “after three months they get eviction notices.” Though she isn’t sure how many tenants this has happened to, “It’s a huge group. I only know about the people who come to me, but I’m sure there are a lot of people that don’t come to me,” said Ward-Evans. 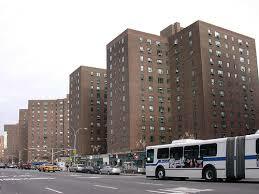 About 30 percent of the tenants are market rate while the rest are rent stabilized. A stabilized one-bedroom unit will typically rent for $800-$1,000 a month, while the market rate, renovated one-bedrooms are around $1,800. Many of the stabilized renters are seniors, who in some cases were there since Riverton opened as an alternative property to non-white would-be tenants of Stuyvesant Town, which was originally segregated. Meanwhile, Ward-Evans said tenants at Riverton have enjoyed an “excellent” working relationship with CWCapital for the past four years. Tenant leaders meet with reps for the owner regularly on tenant concerns. “They respond immediately and I really appreciate it,” she added. However, she said tenants felt a lawsuit was the only option to fight the MCIs since an attempt to do so through the Division of Housing and Community Renewal (DHCR), went nowhere. According to a report in the New York Times, Andrew MacArthur, a managing director at CWCapital, seemed surprised by the litigation. In an official statement to T&V from spokesperson Brian Moriarty, CWCapital indicated the same thing. “We received this lawsuit without prior notice or discussion and are now in the process of trying to understand the specific complaint,” CW said. Council Member Dan Garodnick said that he was also looking at the suit to see if there were any parallels between the Riverton and Stuyvesant Town MCIs. 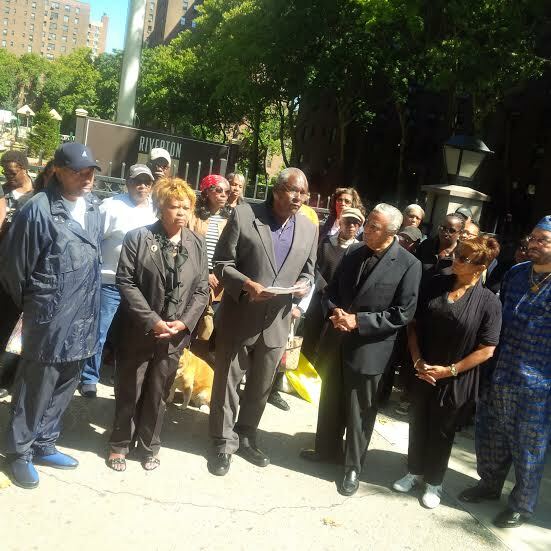 The Stuyvesant Town-Peter Cooper Village Tenants Association told T&V earlier this month that it was conferring with counsel over the rejection by the DHCR of arguments made by the TA against two MCIs. One was for roof work, the other for elevators. Following the announcement last Thursday that the ST-PCV Tenants Association had reached an agreement with CWCapital to reduce the cost of MCIs for some tenants and eliminate them completely for others, tenants have been able to talk about little else. 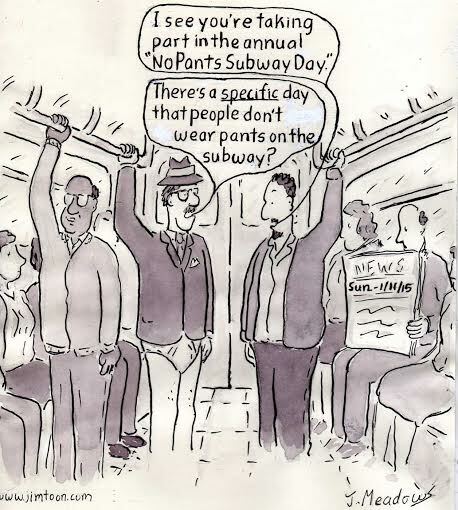 When questioned about their thoughts by Town & Village, a few residents who got the 5 percent reduction of the monthly portion of the MCIs naturally said they wished they’d gotten more shaved off their rent bills. However, mainly what they expressed was their disgust at the system that allows owners to pass the costs of building upgrades onto renters. Another resident also said she didn’t understand the need for the security upgrades that qualified for MCIs. In contrast, a “Roberts” tenant interviewed said of course he was glad he wouldn’t have to pay the increases following the settlement. “Less is more,” quipped Henry, who asked that his last name not be published. “Obviously if you’re paying less for your apartment, you’re better off.” But Henry added he wouldn’t be celebrating just yet since he’s been dealing with a lack of heat in his apartment. “I’m in the living room with two comforters and sweatpants,” he said. On the TA’s Facebook page this week, the TA received heaping praise as well as a few complaints about the settlement. After months of negotiations, the Stuyvesant Town–Peter Cooper Village Tenants Association and CWCapital settled the dispute over the five major capital improvements (MCIs) that residents were socked with at once last fall. On Thursday morning, the state housing agency, the Division of Housing and Community Renewal, issued an order confirming the agreement, the Tenants Association announced. The settlement eliminates all of the retroactive charges for current tenants and reduces the monthly increases by 5 percent. “Roberts” tenants won’t be charged any monthly MCI, nor will SCRIE/DRIE tenants. Andrew MacArthur, managing director of CWCapital Asset Management, also cheered the settlement. The five MCI orders cover video intercoms, a security system, a video command center, water tanks/valves and repaving of the walkways. 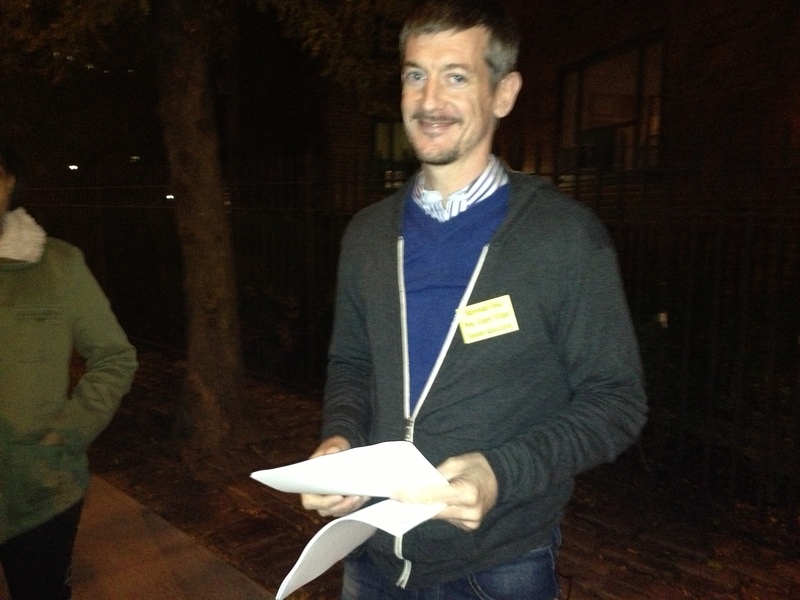 Two of the orders impact residents in Peter Cooper Village and three of them impact Stuyvesant Town residents. 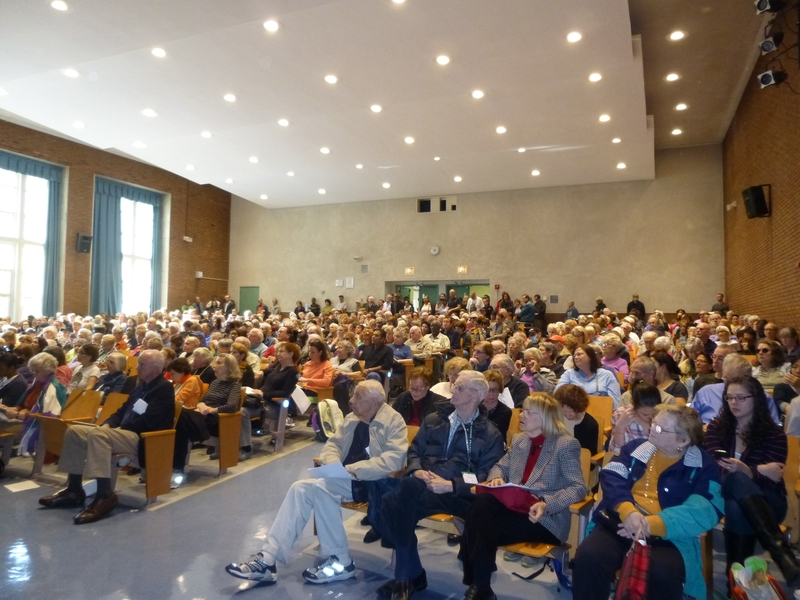 Tenants pack a meeting on MCIs, held at the Simon Baruch Middle School auditorium last fall. the TA said it would be challenging them. In response, CWCapital made an offer to reduce the MCIs’ retroactive portion for tenants who’d agree not to challenge them, but the TA cautioned residents not to sign on to the offer. Negotiations between the TA and CW began soon after that. Exceptions to this would be if a tenant filed a PAR for something like an inaccurate room count in his or her apartment, since MCI charges vary based on the amount of rooms. ● All current residents are included in this settlement except those who moved in after the orders were issued (approximately October, 2013). ● The settlement is retroactive to January 1, 2014. ● Credits noted below will begin to appear on the May rent bill. ● In May, a retroactive credit will be added to the rent bill. This credit will include the benefit amount for January, February, March and April. ● The retroactive and permanent increase amounts noted below are all clearly stated in the MCI orders that residents received in the mail. This number is different for all residents and depends on many factors including: building, unit size and move-in date. ● If a resident cannot find his/her order, that resident is advised to call DHCR at 1-800-ASK-DHCR (1-800-275-3427) to request a duplicate copy. 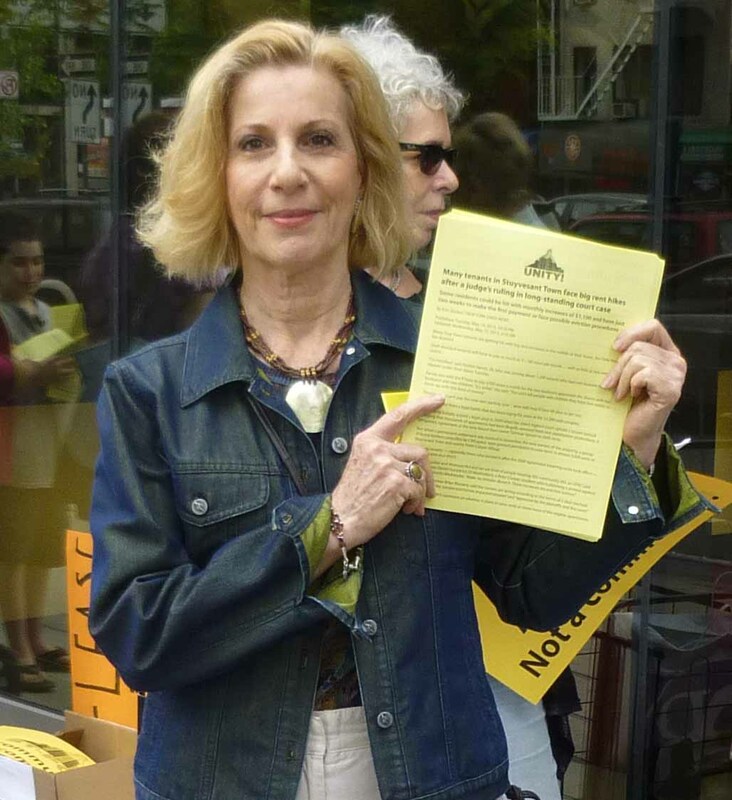 The Tenants Association will hold a general meeting to discuss the settlement on Saturday, May 10 at 1 p.m. at Simon Baruch M.S. 104 on East 20th Street between First and Second Avenues. With reference to the letter to the editors, by “Name Withheld” regarding the DHCR response on MCI orders and the letter from the elected officials (T&V, Feb. 13): I entirely agree with the comments of the writer. It should be obvious to everyone that, except for very rare exceptions, these politicians are just another set of scammers who come with all sorts of high flying promises and offers to work towards improving the quality of life of the voters; but after they are elected, these promises and offers are conveniently shelved and forgotten, as they get on the bandwagon and work towards ensuring their survival and patronage by the political establishment. For example, during the last election, the promises made by Messrs. Garodnick and Kavanagh: to work towards eliminating the MCI law that forces tenants to pay for major capital improvements, which raise the value of buildings for landlords, and thus increase their wealth. New York is the only city that allows landlords to pass the cost of repairs and renovations onto the tenants. Capital improvements, as I mentioned above, increase the landlords’ wealth; they do not increase, or provide very little increase, in the rental value received by the tenants. Tenants do not share in the profit increases, or wealth gains, enjoyed by the landlords from capital improvements. Thus, our elected officials should be doing their best and trying hard to work towards eliminating this law that benefits landlords but penalizes tenants, who are already under major economic stress in trying to exist with limited means in this city. My fervent suggestion to all tenants reading this letter is to write and communicate with our new mayor, Mr. De Blasio, and the new City Council — both of whom appear to be more in tune with the plight of the working middle class than their predecessors. It is imperative that we make our voices heard and that we provide the mayor with evidence so that he knows the majority of New York citizens are desperate for relief and support in trying to live decently in this city we all love.